After the past weekend, comic book fans might be eager to see what will happen to X-Men in the year’s film: Days of Future Past. Though the film did not feature anything too juicy (unless you count the ensemble together on stage), it seems that the studio is already getting underway for the film’s marketing. Featured in the newest Entertainment Weekly is the first poster for the film, and better yet, posters. 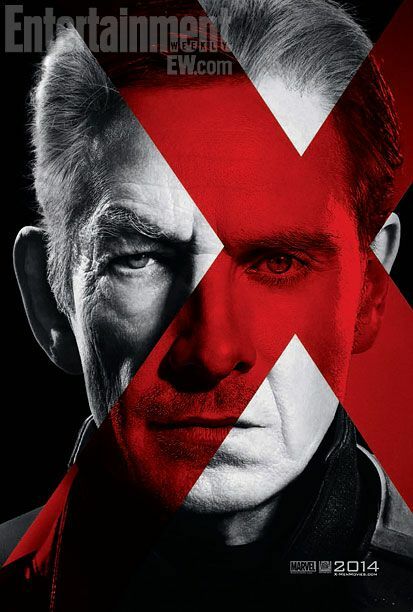 These teaser posters feature Magneto and Xavier with a blend of their iconic portrayals (Patrick Stewart and Ian McKellen) and their past selves (James McAvoy and Michael Fassbender). The idea is is not only show off both version of the characters, but to give the idea that the past and present will play a major role in the film. Though the tagline does that effectively, the posters add to it by showing off the magnitude of the film in a stylish way. Days of Future Past brings one of the most famous X-Men stories to the silver screen, as well as bringing two parts of a the franchise together. When all seems lost against the Sentinel threat, Shadowcat and Wolverine are sent into the past. Once there, Wolverine joins Xavier and his X-Men to prevent the upcoming events, but can they save the future of mutants? The film stars Ian McKellen, Hugh Jackman, Patrick Stewart, James McAvoy, Michael Fassbender, Jennifer Lawrence, Nicholas Hoult, Anna Paquin, Ellen Page, Shawn Ashmore, Peter Dinklage, Omar Sy, Halle Berry, Daniel Cudmore, Fan Bingbing, Evan Peters, Josh Helman, Lucas Till and Boo Boo Stewart. There is no telling what the future holds for the upcoming film. However, from can be gathered, 2014 could perhaps features the biggest X-Men films yet. 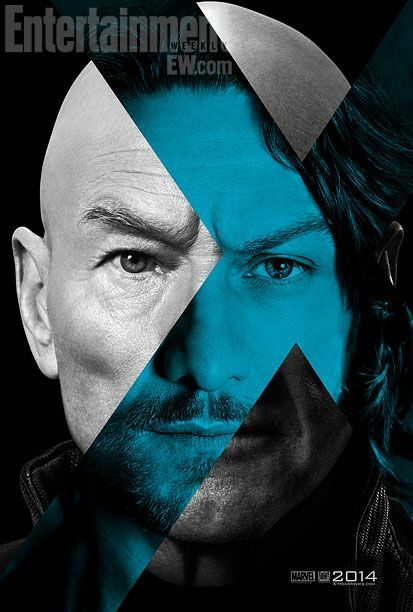 X-Men:Days of Future Past hits theaters May 23,2014.